"How Enterprise-wide Process Modeling Enables Digital Business Transformation"
An enterprise-wide process modeling is the most agile way to conduct a successful digital transformation as it requires a top-down examination of the performance, quality and sustainability. Digital transformation is an essential step in the evolution of many businesses today. Process modeling has grown from creating a diagram or report figure that explains a business problem to a transformational practice that can organize the way a business is monitored, controlled, and measured. 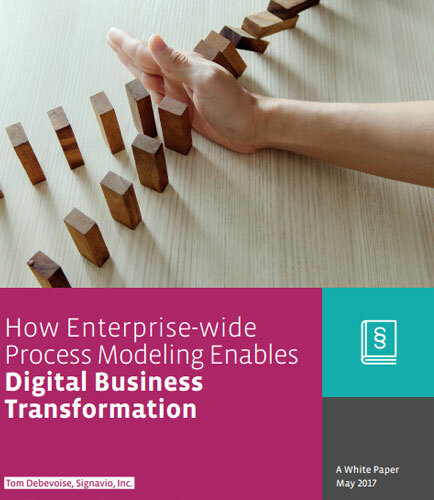 This whitepaper discusses why businesses should consider an enterprise-wide process modeling approach for competing through digital transformation.